In the Footsteps of the Vikings – The Great Canadian Travel Co. 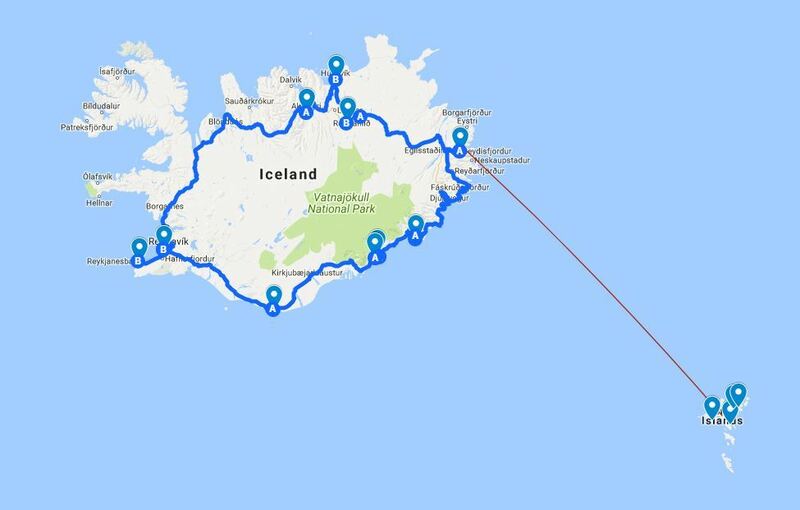 This unique program will bring you to both Iceland and the Faroe Islands, lands settled by Vikings. 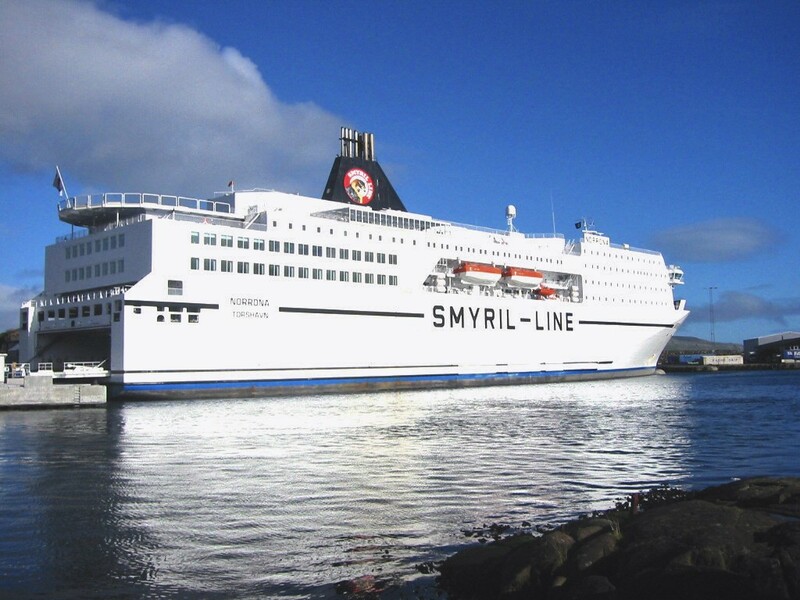 Included is a sailing on the wonderful Smyril Line ship between these two fascinating countries. Truly, a memorable journey. Prices are “starting from” rates shown in US$, per person, based on two people sharing a twin room/cabin or one person in a single room/cabin. Triple rates for three people travelling together are available on request as are Canadian $ prices. 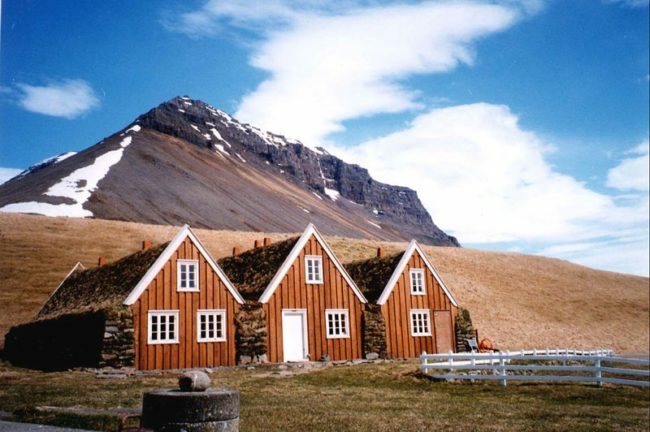 Arrive at Keflavik airport, and transfer to the domestic airport in Reykjavik for the short flight to the Faroes where you will transfer to your hotel in the old part of Torshavn, the quaint capital of this unusual island nation. A full day-tour to the northern islands, an opportunity to visit several different parts of the country. En route visits will be made to the Viking settlement at Leirvik, the church in Klaksvik and there will be time to seek out some unusual souvenirs in the afternoon. A free morning to explore this quaint town before boarding the Smyril Line ferry for an overnight sailing bound for Iceland. On board the ship, you will have double/twin outside cabin with a window. The Ship offers several restaurants, lounges, a movie theatre and a gym/sauna for your entertainment. A meal plan is available for pre-purchase which will save you money and the hassle of paying for your meals while on the ship. Please ask us for details on the various meal options. Arrive Seydisfjordur in East Iceland in the morning. Transfer to Egilsstadir where you will pick up your rental car to begin your one-way drive to Reykjavik, on the west coast. The route you take is up to you, either through the north or along the south coast. Three nights accommodation along your driving route are pre-booked for you. Your journey to Reykjavik could take you through northern Iceland; Myvatn, Akureyri and the whale-watching centre of Husavik, or south through the fjords of East Iceland, and the glacial lakes on the south coast of this dramatic country. The choice is yours! Exploring Iceland on the northern or southern route, as you have chosen. Arrive in Reykjavik, turn in your rental vehicle and transfer to your central hotel for a two-night stay. A free day in Reykjavik. 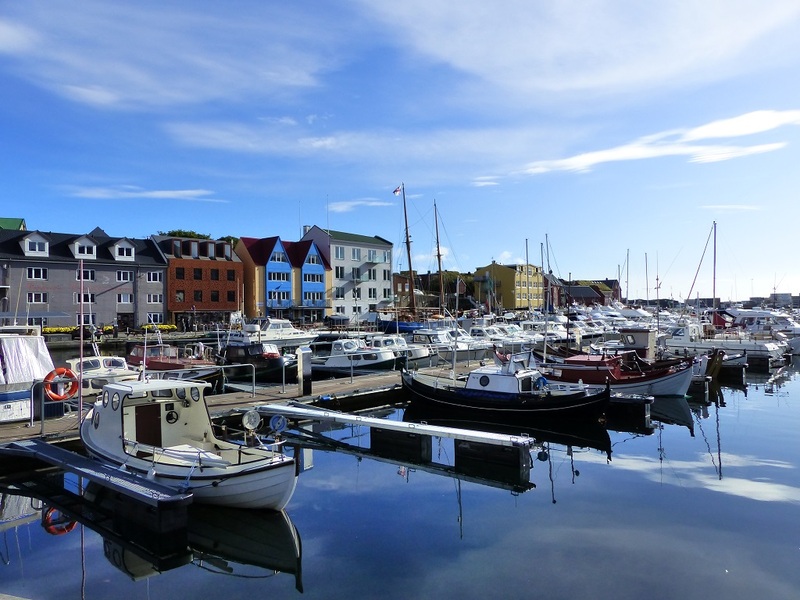 Time to relax, shop, explore or take an optional tour to go horseback riding, visit the geysers and waterfalls close to the city; head out to see the whales in the harbour, or simply enjoy a walking tour of Reykjavik. If you drove the northern route you might want to consider a day tour of the south coast. 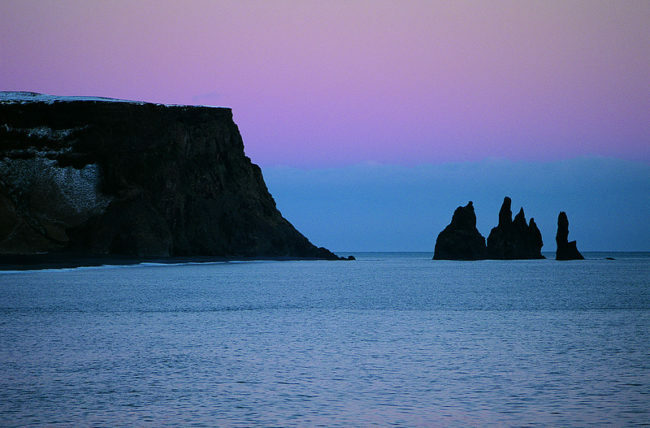 If you drove the southern route, consider a day tour to the Snaefellsnes Peninsula, north of Reykjavik. Alternatively, we can arrange for you to keep your rental vehicle so you can explore the area around Reykjavik on your own. Check out of your hotel and transfer to the airport for your homeward or onward flight. 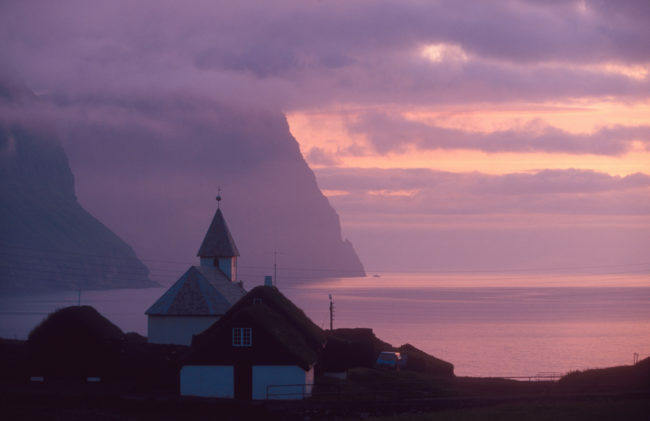 The Faroes’ scattered and rugged mountains lure photographers and bird watchers. The landscape is fantastic and dramatic, from land, sea and air. 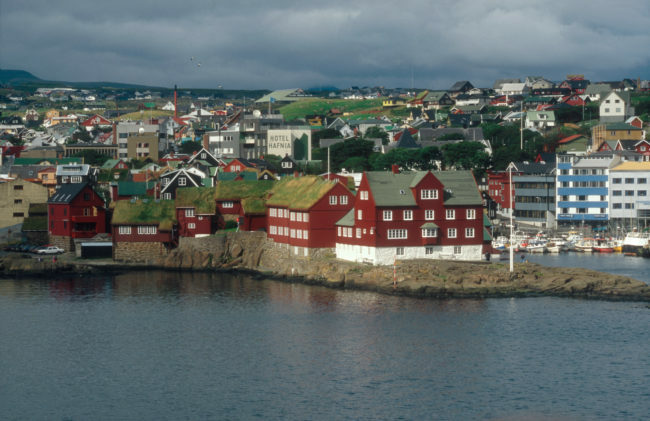 The capital city, Torshavn, will charm with its red-trimmed, black timbered buildings with grass roofs. The ferry from Torshavn to Seydisfjordur, in East Iceland, is an enjoyable part of the tour program, with comfortable cabins and public spaces and delicious food. Watch for whales and seabirds that may tag along. 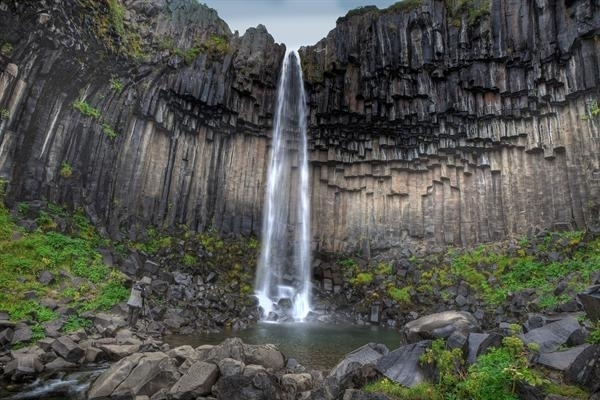 Iceland’s landscape is awe-inspiring and primal, a perfect setting for the Game of Thrones and many movies. Once home, you can say you’ve hiked on a glacier, soaked in a geo-thermally heated pool and ridden an Icelandic horse. Maybe they’ll actually want to see your vacation photos! 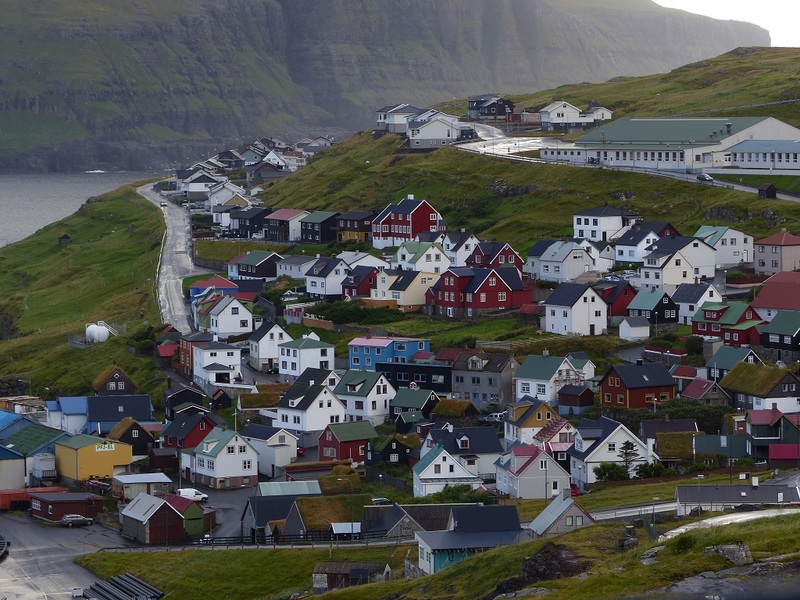 The itinerary for this program is determined by the ship’s scheduled (weekly sailings on Wednesdays), and the Monday, Wednesday and Friday air scheduled between Iceland and the Faroe Islands. Should you wish to extend your stay in the Faroe Islands, please contact us for alternate dates. The program may also be done in reverse with some alterations to the inclusions. Upgrades in accommodation on board the Smyril ferry, the car rental and accommodation in Iceland are available upon request. Prices are subject to change due to ferry and airfare availability.